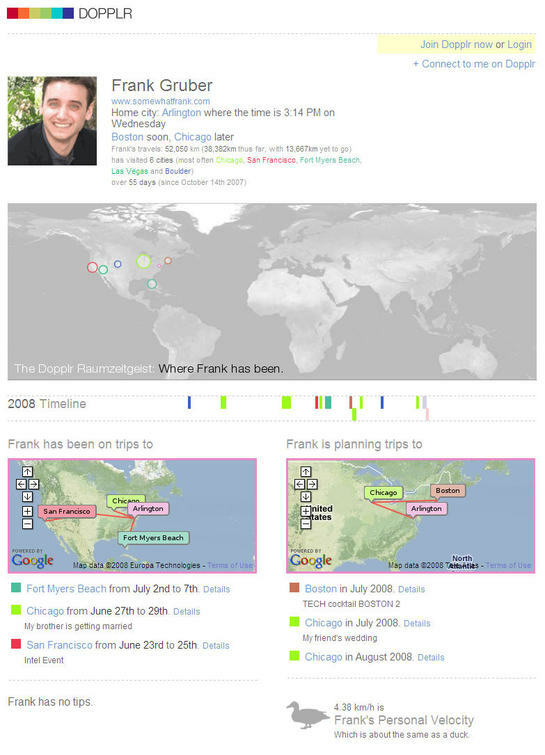 The new release of DOPPLR includes profiles, automated trip input via email, SMS and Twitter and more. I really like the simple design of the DOPPLR profile as it offers maps that plot my past and upcoming travels as well as a frequency heat map. Check out my DOPPLR public profile (or in the screen-shot below).